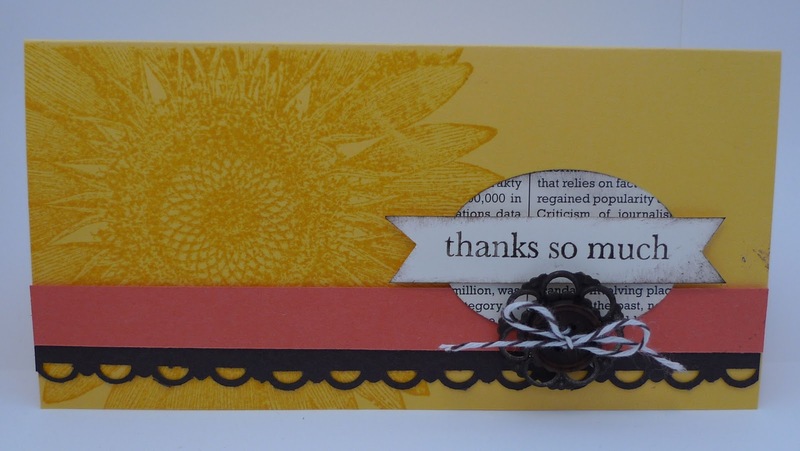 Karina's Kreations: Stampin'Up Sunflower Case! Don't you love this card? 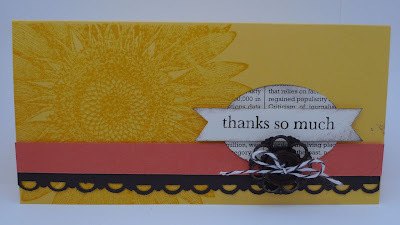 I can't really call this a case because it's copied from the 2011-2012 Stampin'Up catalog. I added a small twist. Take a look at the embellishment. Did you know that we sold Early Espresso Designer Builder Brads? We don't! 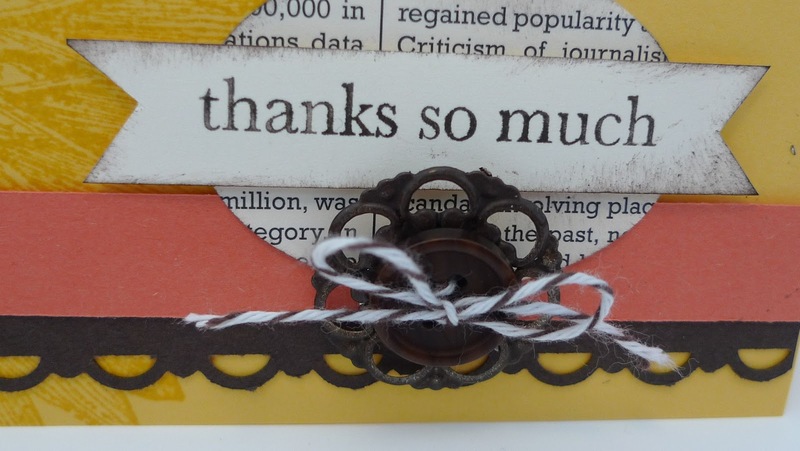 However, we sell Versamark ink and Early Espresso Stampin' Emboss Powder. 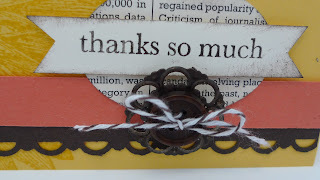 Here's my tip: Squish the brad into Versamark ink and dip it into Early Espresso Stampin Emboss Powder #128980. Heat with a heat tool. Make sure you use tweezers! The metal gets really hot!!! Let it dry and repeat the steps if you need more coverage.